Your teeth’s enamel is the hardest substance in your body. It is as hard as steel, but this does not mean that it is indestructible. In fact, teeth can be damaged more easily than we think. From cracks to missing teeth, A Plus Dental can help. Our restorative dentistry services target dental problems that affect the strength and function of the teeth. Our restorative devices are made of durable materials to improve beauty and function of teeth. Below are our restorative dentistry services. Dental crowns and tooth bridges are two of the most widely used dental restorations to replace missing teeth in a patient’s mouth. Both are fixed prosthetic devices that are anchored onto existing teeth or cemented onto dental implants. At A Plus Dental, dental crowns and tooth bridges are often used in patients who require the replacement of multiple teeth, and the success rate for such procedures is phenomenal. Losing several (or all) of your teeth also means losing your ability to eat and speak well, as well as to smile confidently in front of other people. If you are suffering from tooth loss, there are a number of options for you at A Plus Dental. 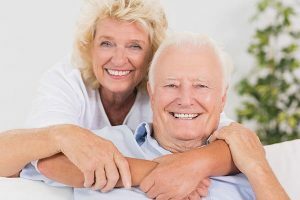 One of these options is our versatile and affordable removable dentures. We create natural-looking and great-fitting dentures to restore your smile and boost your level of confidence. Dental implants are an implant post made of biocompatible material such as ceramic or metal, which is designed to replace the root of a missing tooth, and a replacement tooth (dental crown) on top. The implant is surgically attached to the jawbone and acts as foundation for crown, dental bridge, or dentures. Dental implants feel natural and look exactly like your biological teeth. They can restore your smile to its original appearance and function. There are cases in which the damage to your oral health requires more than just one kind of dental treatment. These cases need a combination of restorative, cosmetic, and general dentistry services. To answer to such demands, A Plus Dental has included full mouth rehabilitation in its dental services. This rehabilitation includes a combination of a multiple dental treatments to improve aesthetic and oral health. Inlays and onlays function like dental fillings but are recommended for different stages of decay. This is the reason they are often confused with dental fillings and dental crowns. Inlays and onlays are used when the damage is too much for a dental filling but not so severe as to require a dental crown. Improve your teeth’s bite and beauty with durable restorative devices at A Plus Dental. 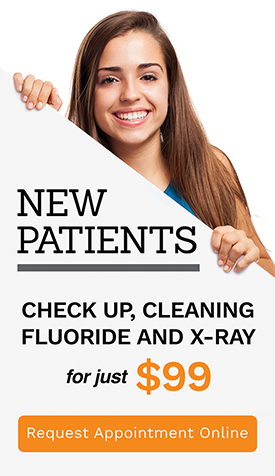 We have multiple options for your dental needs.